WHEN: Monday and Tuesday, July 17 and 18, from 7:00-10:00 pm; auditioners only need to attend one of those days. Sign-up begins at 1/2 hour prior to the audition start time, and anyone auditioning must arrive no later than 8:00 pm each night. Callbacks will be Thursday, July 20, also at the theatre, beginning at 7:00 pm. The show will be presented at Westminster Arts Center on the campus of Bloomfield College, where the company is in residence. Rehearsals will begin at the end of July, and three performances are scheduled for September 22, 23, and 24. 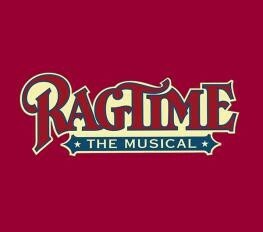 Based on E.L. Doctorow's distinguished novel, Ragtime won Tony Awards for Best Score, Book, and Orchestrations and both the Drama Desk and Outer Critics Circle Awards for Best Musical and Best Score. Set in the volatile melting pot of turn-of-the-century New York, three distinctly American tales are woven together—that of a stifled upper-class wife, a determined Jewish immigrant, and a daring young Harlem musician—united by their courage, compassion and belief in the promise of the future. Together, they confront history's timeless contradictions of wealth and poverty, freedom and prejudice, hope and despair, and what it means to live in America. 4th Wall’s “Off The Wall” Concert production will not be fully produced with sets and costumes, and the performers will carry scripts. The characters will be fully drawn, and the music and character arcs will be the focus of the production. There will be some staging and some choreography involved. 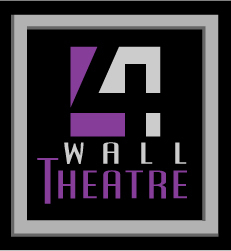 4th Wall is seeking an ethnically diverse adult cast of 20-30 terrific actor-singers and three featured children; see character breakdown for details. Prepare two contrasting 32-bar selections from classic musical theatre songs that show off your voice and acting ability; singing from the show is perfectly acceptable. Bring sheet music in your key. Also bring a headshot and resume stapled together, and be prepared to provide all potential conflicts for weekday evening and weekend daytime rehearsals beginning July 23rd.